Need a sailboat or an aircraft carrier? I am at your service! IT Veteran (started at 10 yo on MO5 and I am 44! ), I had the chance to be able to evolve on many positions during my career (20 years), see and participate in the evolution of the Web (from Netscape with Worldnet and my 28K modem!) and now I wish to put this experience at your service. 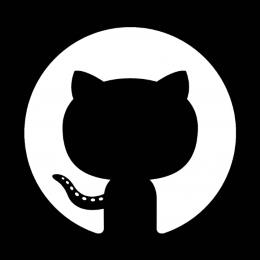 I can intervene at almost any level of a project, in a multitude of programming languages, on various platforms and architectures, but what interests me the most is what you need to answer it as simply and quickly as possible. I could certainly write more, but I invite you to look at my work that will speak better of me than I can do! 20 years of experience at your service, in quality process according to the CMMI model. I help you to move to Digital Learning with the most powerful LMS on the market, the new xAPI standard (successor to SCORM) and understand the challenges of LRS (storage platforms, exchange and analysis of training data). 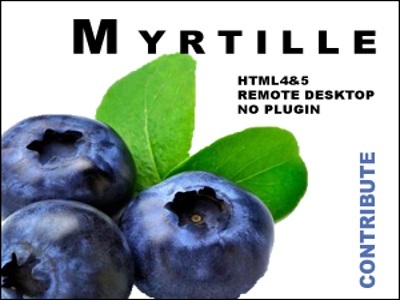 If you have old software that you would like to propose in full web, I am the author of Myrtille, an open source solution for virtualization of applications and desktops to the HTML5 standard. I perform penetration tests (in black or white box), code and flow analysis and help you improve the security of your infrastructures and applications. 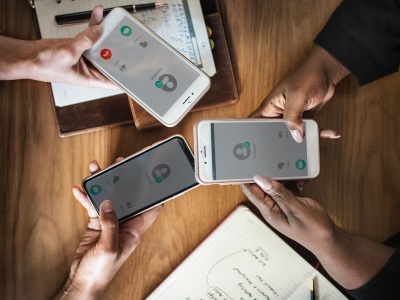 You may also be interested in multi-factor authentication of your users, Active Directory security policies and encryption of your communications and data. Want to know more or just discuss something? Cedric combines deep technical skills with great discretion. He quickly became part of the team. His programming skills even allowed him to deliver projects that were technically blocked. Thank you Cedric. Cedric intervened on projects in our portfolio of innovations. He was able to integrate into the team, understand the issues and make available his skills to deliver the expected innovative prototypes. Cedric is a confirmed .net developer with good notions of software architecture, I recommend it. I collaborated with Cedric on the open source project Myrtille to bring enterprise functionality including 2FA and SSH support. Cedric's coding skills, knowledge of standards and willingness to accept nothing but perfection resulted in a clean, manageable and enterprise ready solution, perfect for our customers. Here are some of my achievements, sorted by sector of activity. In 2016 and 2017, I was asked by Orange to bring my expertise in the context of the migration of their old LMS (MOS Chorus, Skillsoft, Saba, etc. ), accumulated over time and different entities / divisions of the group, towards a new centralized LMS and more adapted to the needs of identification and improvement of internal competences. This is how I took part in the "Orange Learning" program, whose ambition is ultimately to train (or retrain) the group's 150000+ employees. The new LMS is Cornerstone on Demand (CSOD), a global leader in e-learning with a white label and SaaS platform. Most of my work involved providing project management support with a significant increase in workload. The technical environment was varied: Windows Server 2012 (IIS, .NET, SQL Server) and Red Hat (Linux, Apache, MySQL, PHP). The servers were virtualized (Hyper-V, VMware) with rebound access via Citrix. I had the opportunity to use a wide range of tools from Git (versioning), WinSCP (SFTP), PuTTY (SSH), SQLYog (SQL), Zend (PHP), Talend (Java) as ETL (cloud/big data) and some Korn Shell (RHEL) and Powershell (Windows) scripts to create or update (crontab, execution tracing, error reporting, etc.). This transverse project was interesting. Less interesting, the inertia of a large group and the difficulty of knowing who does what! A rigorous quality process was in place, including traceability of the decision-making chain, continuous monitoring of business processes (for improvement purposes) and the search for the best possible user experience. Security was ubiquitous, which is a good thing. Any operation on the network infrastructure (port opening, installation of an SSL certificate on a reverse proxy, etc.) had to be properly qualified before being submitted for validation. Regarding the organization, there were many conf calls with a schedule/assignment of tasks following an agile methodology (Scrum, Kanban) with Atlassian Jira (for the user stories, sprint planning, backlog, etc.). Between 2013 and 2015, I participated in the development of a prototype (PoC), with the objective of replacing old electrotechnical equipment supervision systems (IEDs, substations, etc. ), using the latest technologies in the mobile and web fields. With a team of 7 people, in Scrum mode, I was in charge of the backend using REST services (under Azure), on .NET/MVC/C# technologies and "Application Blocks" of the Microsoft Enterprise Library type (Entity (ORM), Unity (IoC), PostSharp (AoP), etc. ), a SQL Server database, JSON serialization (AngularJS frontend), news feeds (RSS), unit tests (nUnit), all under Continuous Integration (Jenkins, Team City, Subversion (SVN), Powershell, etc.). I then worked on the data acquisition (IEC 61850 protocol, ComX, etc. ), sampling (Historian OPC HDA) and configurations versioning (Alfresco). Then I had to take care of the security part, notably by setting up an SSO access on the different frontends (oAuth, SAML, etc. ), encryption of the communication channels (SSL) and perform or supervise penetration tests ("pen tests") on the various components of the architecture. 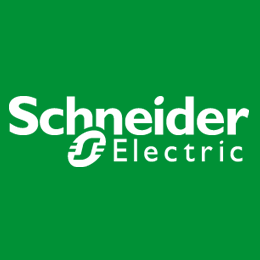 In many respects, this mission reminded me of Si Automation (in 2004 and 2005), while Schneider Electric's objective was also to offer cost optimization, thanks to the RCM (Reliability Centered Maintenance), predictive maintenance of equipment based on proprietary aging algorithms. After 3 years of work with friends (and former work colleagues) on our spare time, I co-founded Steemind in 2011, a startup whose goal was to provide a remote access to any application or desktop through a simple web browser, without any plugin (HTML5 only!) and seamlessly for the end user. The idea was to make "Web Ready" traditional applications not designed for such use, whether for technical reasons, resources or simply for missing the Internet transition. Our model was in SaaS and white label and allowed publishers not only to offer their applications in full web but also on demand (with access control, dashboards, billing, etc.). Hosting could be local (on-premise), cloud (Azure, AWS, etc.) or hybrid (cloud applications but local data storage). The adventure lasted 2 years. Despite our technological advance, market positioning and fundraising, we were finally caught up by big names (Citrix and VMWare, among others) against whom the struggle was difficult. But all this has been a very rewarding experience, both human and professional! In 2016, I thought it was a shame to throw all this work and decided to pass the core of technology in Open Source. We also had a fairly advanced web frontend and admin site (completely dynamic, with custom Ajax framework and update notifications from the database for updating display components), as well as a cutting edge SQL Server backend (before the Entity framework was available, we had the equivalent of features: cache, MSMQ notifications for cache invalidation, C# serialized/deserialized business objects from the database, etc. ), but it was of little interest and I wanted to refocus on the essential. Today, Myrtille is a mature solution and is used by many people and organizations around the world. It's a solution comparable to Apache Guacamole (developed in Java under Linux) and an alternative to RDWeb (provided by Microsoft and feature of the RDS role) for all those who don't want to be limited to Internet Explorer (Edge) because of the use of an ActiveX component. 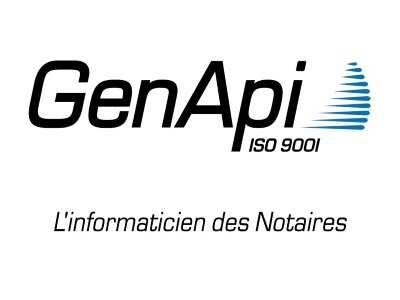 In 2010 and 2011, just before creating Steemind (my startup), I was working at Genapi (Septeo Group), a leader in the notarial and legal sector in France. 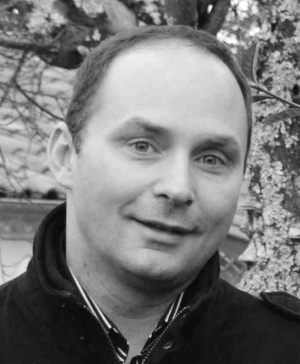 In Scrum/XP agile mode (fairly short sprints, 1 to 2 weeks on average) and within a R&D team of 40 people, I was a developer on iNot - an hybrid office/web software dedicated to notaries - firstly then technical architect thereafter. The environment was varied across projects, iNot using mainly .NET/C# (WPF, WCF, Spring.NET, TFS, etc.) but also Silverlight and Sharepoint. One of iNot's difficulties, but also a point of interest, was that some processes were running locally (eg writing documents with the Microsoft Word ActiveX, converting scans from TIFF to PDF with addition of QRCode, electronic signature via secure network, smart card reader support, SAN file system, etc.) while others were in web mode (IIS, SOAP webservices, AJAX webmethods, etc. ), and they had to be synchronized. Another point of interest was that the database (SQL Server) was not only able to store data (until then, that's fine...) but also to define business objects, deserialized in C#, thus allowing to customize the software for each study and update it without redeployment of the binary code. This "Data Driven" approach is now quite common and easy to apprehend with the Entity (C#) or Hibernate (Java) framework. Between 2005 and 2008, I participated in the redesign of the Aduno Rich Meeting teleconferencing service (at that time a competitor of Arkadin and Genesys Conferencing companies) as a developer first and then project manager. The provided service was quite innovative as it allowed to share documents online during the audioweb conference, with more traditional features such as tranfering the organizer status, muting a participant, recording the conference, etc. The technology was also innovative since it freed itself from the need for any plugin in the browser (ActiveX, Flash, Java, etc. ), surfing the dynamic Web 2.0 wave with a customized AJAX framework. By the way, it's around this technology that I improved myself for what would later become Steemind then Myrtille. The development was mainly done under Visual Studio (IIS/.NET/C#), SOAP webservices (firstly then remoting, on which WCF is based), SQL Server database, low level modules in C for acquisition of telephone data (T2, PBX, Centrex) and a team of 5 people. The atmosphere was stimulating, startup type, with a lot of exchange, creativity and an Extreme Programming (XP) agile methodology. The company has unfortunately ceased operations in 2012, in a very competitive market. In 2004 and 2005, I was an R&D developer at Si Automation, a company specialized in the semiconductor industry (acquired in 2006 by PDF Solutions, USA). I was working on the "Maestria" software suite, with the objective of real-time control of equipment operation and production processes of electronic components. 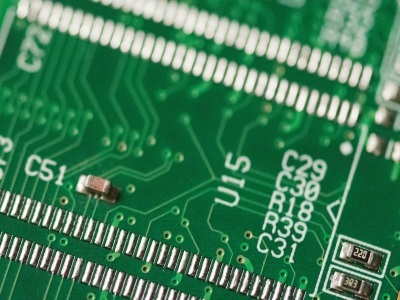 Among customers, industry leaders such as STMicroelectronics, with "fabs" in France and Taiwan. In compliance with the ISO 9001 quality certification, I was also responsible for the management of the documents related to my developments, from the needs study, objectives definition, resources management, risks analysis as well as writing and running test scenarios (manual and automated). The technical environment was based on Delphi technologies, RAD Studio (UML), Visual C++, Linux, Apache, MySQL, PHP ("LAMP"), Subversion, and Bugzilla. The processes were quite complex, both in substance (FDC strategies for process engineers) and form (ISO 9001 quality standard and supervision of certain outsourced developments). The experience was interesting, with a strong personal involvement (we were few in R&D for such a project, about 15 people), and similar to that of Schneider Electric between 2013 and 2015. Between 2000 and 2003, I was in Paris during the prosperous period of the internet bubble. At Inscape, an IT consulting company, I first worked for BNP-Paribas (in 2000 and 2001), in the Opera district, to set up a monitoring system and control of internal projects. The main objectives were to identify duplicates (in the context of the ongoing BNP-Paribas merger), establish action plans and their execution (objectives, budgets, resources, deadlines, etc.). On Delphi, Oracle and Lotus Notes technologies, I worked in pairs under the responsibility of an expert in object programming, with whom I learned a lot. In return for its rigor, and because the work must also include moments of pleasure and sharing, I nostalgically remember the Quake III games that we did at the office on our lunch break, with a panini on the keyboard. We also participated in the project management committees between BNP and Paribas, in the Defense district. 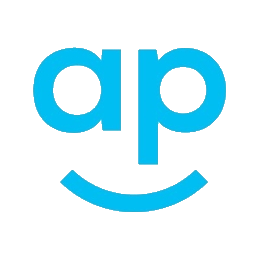 To facilitate deployments, we implemented a mechanism for automatic updates of the client and database (PL/SQL packages). 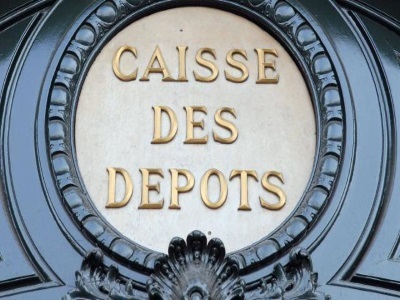 Following this mission, I worked for the Caisse des Depots et Consignations (between 2001 and 2003), near the Orsay Museum, for the trading room department (CDC Ixis Capital Markets, integrated into the Caisse d'Epargne group in 2004 and then Natixis in 2006) on intranet portals dedicated to traders (Treasury, Swaps, CDOs, Bonds, etc.). I developed under Visual InterDev in ASP (Active Server Pages) as well as in Java (applets/servlets) and even Visual Basic. The backend was on Solaris, with CORBA (Orbix) for stock market orders and a Sybase database. 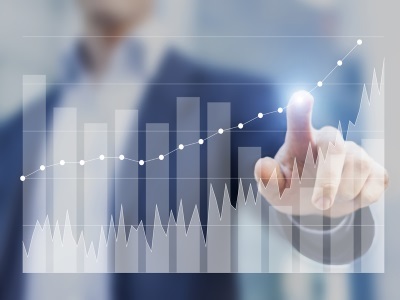 The real-time data feeds, especially used for quotations, were based on a TIBCO data bus on which it was possible to subscribe to obtain the latest values (pattern publisher/subscriber). 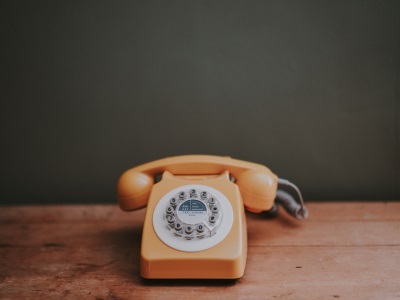 Between 1996 and 1999, I was responsible for developing the new version of Genigreet, a telephone reception management software focused on customer satisfaction. Among other things, the software provided fairly accurate statistics (tables and charts) to identify areas that could improve the reception. I had to familiarize myself with the operation and supervision of autocoms and PBX (Nortel, Alcatel, Cisco, etc.) then create or update "on-the-fly" phone ticket acquisition modules, through specific storage and buffering systems (Western Telematic PollCat type). One of my first actions was to create a more advanced task scheduler than the default one in Windows. It was necessary to be able to manage the sequence of certain tasks (one ending leading to the execution of the next, in a defined sequence), custom triggers (receiving data on COM port, presence of a file, etc.) and precise control (ms) with detailed execution reports (ram usage, cpu, return codes, etc.). It was also necessary to be able to manage the recurrence of these tasks (iteration in case of error, daily, weekly programming, etc.). Delphi (Pascal) was the main programming language, with FoxPro (SQL) for databases and Symantec pcAnywhere for remote control. The ZModem protocol was still widely used (I remember the "singing" of the modem!) before TCP/IP became the norm, including the SNMP protocol for alarm management. This period was quite exciting, not only because it was my first experience and I was 22 years younger, but also because the Internet was in its infancy (Google didn't even exist!). The company no longer exists, but I was able to find a press release (published in 2002 in "La Dépêche"). © 2018 Cedric Coste. All rights reserved.